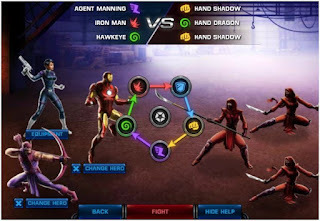 Marvel Avengers Alliance is a free-to-play browser-based game that includes all your favorite superheroes in one compelling MMORPG. Play with a team that includes Iron Man, Hawkeye, Spiderman, Hulk and many more to keep New York safe from villains. Unlock new abilities and attacks and enter in PvP battles against your friends.